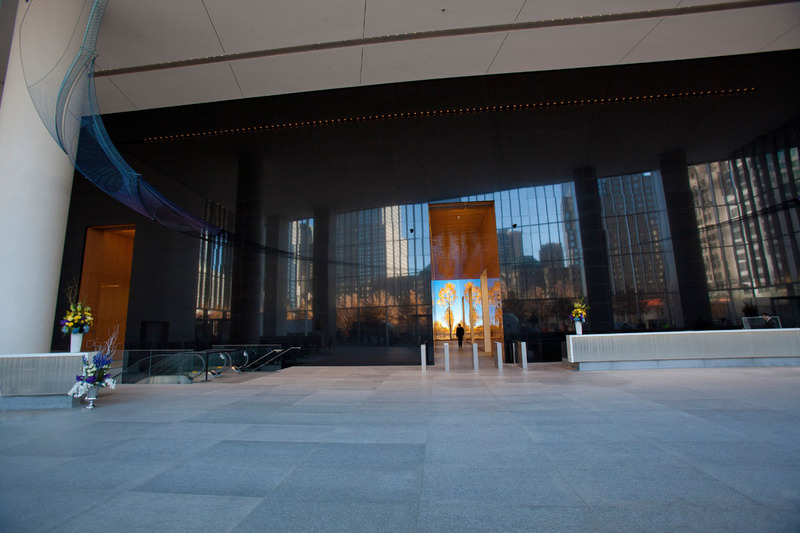 Sanan Media, in collaboration with Thinc Design, created three video installations for the lobby of 4 World Trade Center. Facing the 9/11 Memorial, the 24-foot-tall installations immerse the visitors in nature, light and tranquility. Clouds float peacefully in the north corridor, revealing friendly pockets of blue sky in the background. Suspended water drops fall in unison in the south corridor, merging waterfalls from around the world. Sun plays light games in the forests of the world as rays gracefully fan through the central corridor.